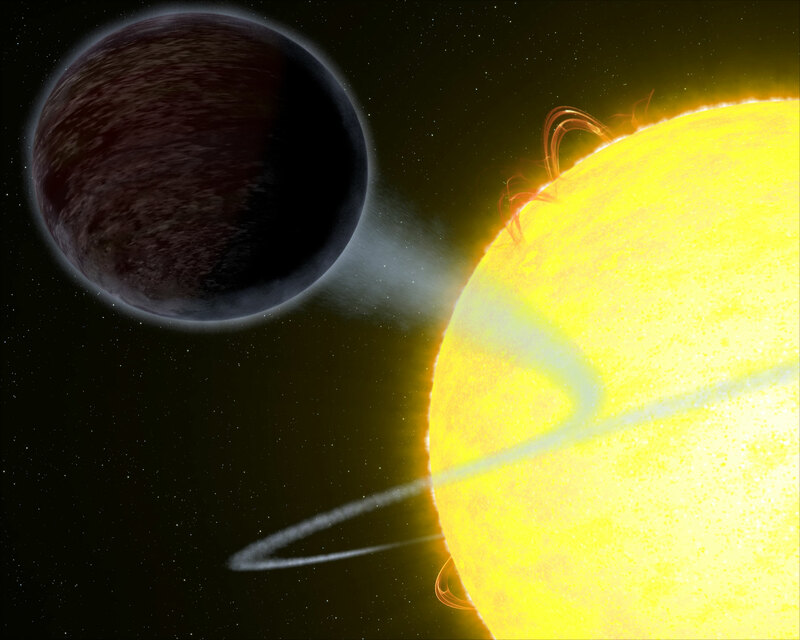 Twice the size of any planet found in our solar system, WASP-12b has the unique capability to trap at least 94 percent of the visible starlight falling into its atmosphere. 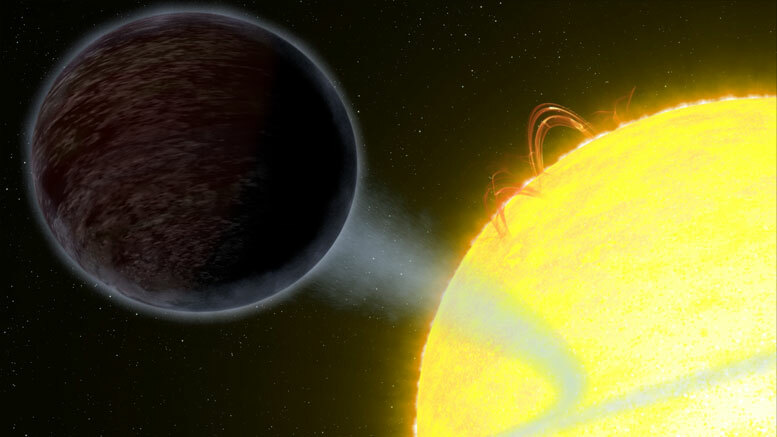 2 Comments on "Hubble Telescope Views Blistering Pitch-Black Planet WASP-12b"
Sounds like a perfect description of hell. Eternal darkness and super hot. ‘This light-eating prowess is due to the planet’s unique capability to trap at least 94 percent of the visible starlight falling into its atmosphere’ Is that a ludicrous tautology or what?